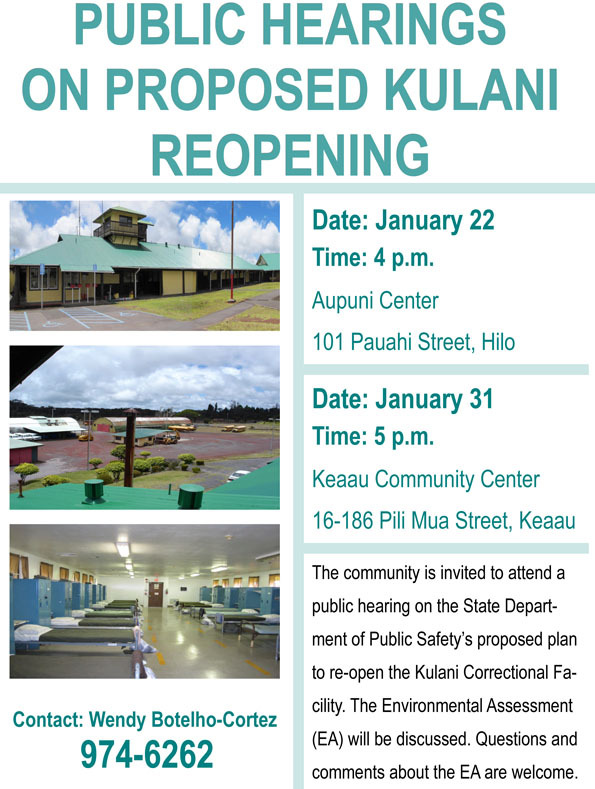 The second of two meetings on the state Department of Public Safety’s proposed plan to re-open Kulani Correctional Facility is slated for 5 p.m. Thursday, Jan. 31 at Keaau Community Center. The Environmental Assessment will be discussed. The meeting is open to the public and questions and comments are welcome. For further information, call Wendy at 974-6262.